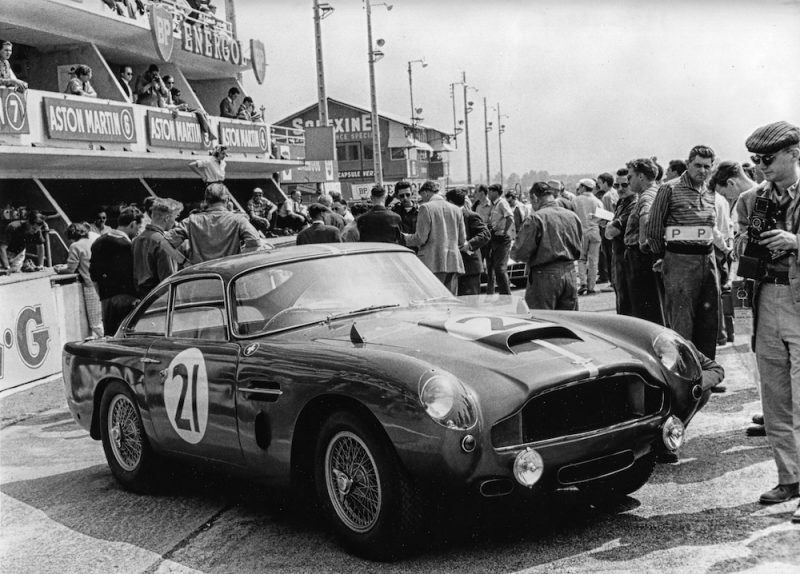 Yes, I know, the new Mini as a concept is retro inspired, but hopefully you’ll understand what I mean in a few moments. Mini is no stranger to making limited edition models based on those from yesteryear, and the new 1499 GT is no exception. 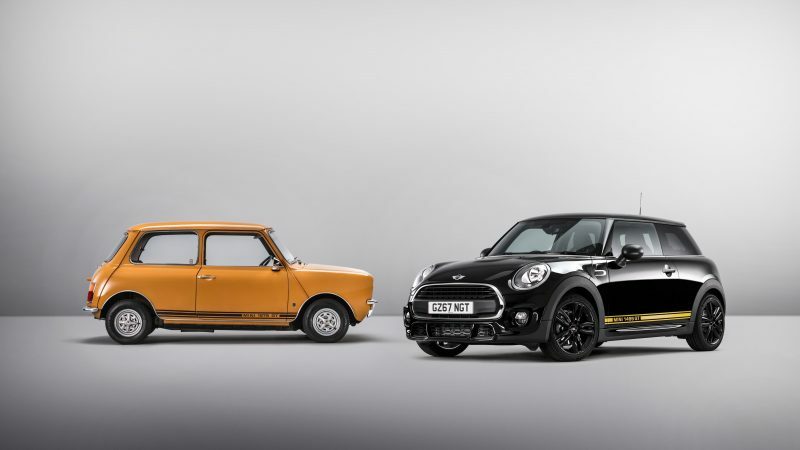 It’s based on the 1276 GT model from 1969, a model that offered an entertaining drive as well as low running costs, just like the standard Mini. Unlike the standard model though, the 1275 GT had a larger engine than the standard 998cc, and was able to offer 1,275cc, hence the name. Back to the present day though, the 1499 will offer a similar package, and on the face of it, it looks rather good. 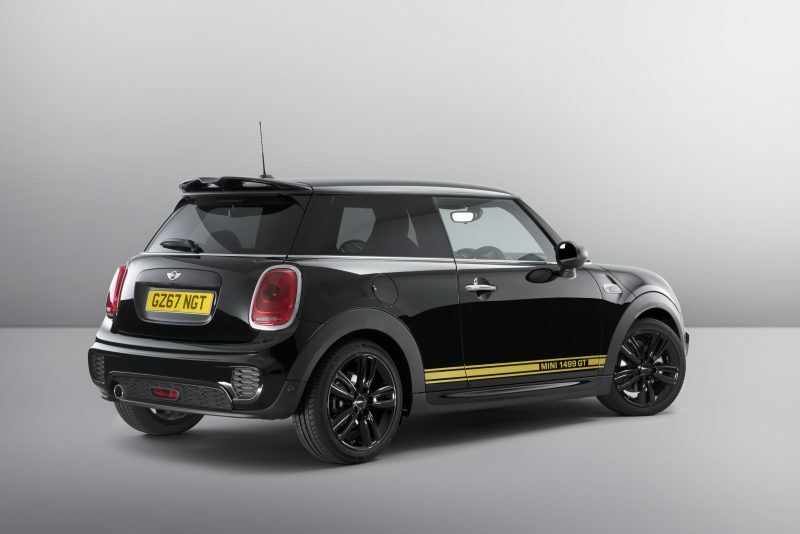 Offered in either Midnight Black or Pepper White, it features John Cooper Works styling, with ‘1499 GT’ stripes running down the side of the car – an echo of the 1275 GT. The stripes are finished in gold for the black model and black for the white model. 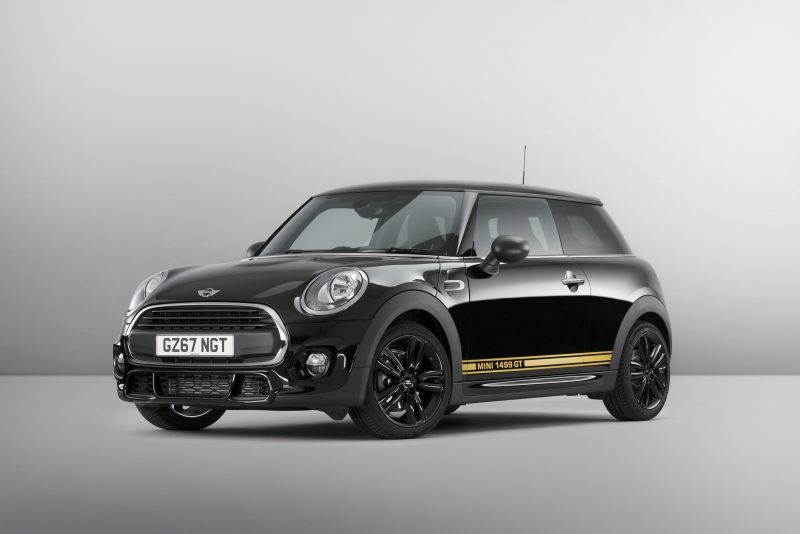 Because of the JCW styling, you’d be fooled to think that this is a fire-breathing monster, but not so. 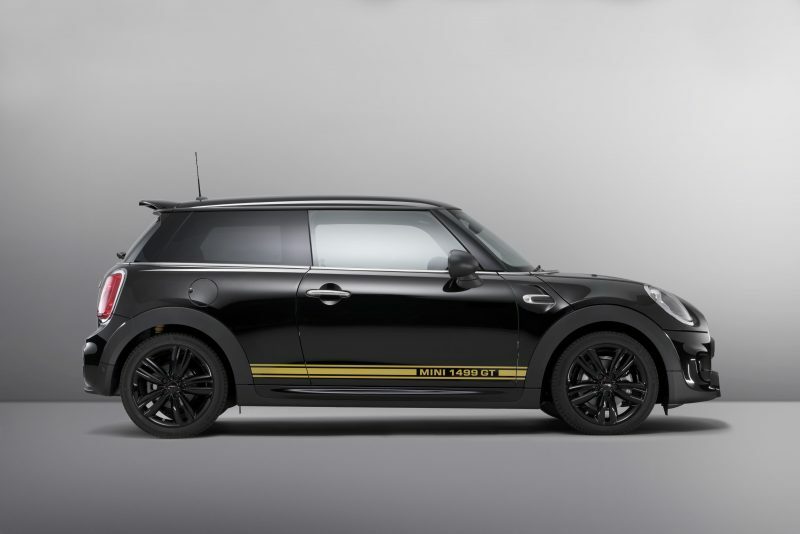 It’s powered by Mini’s Twin Turbo three-cylinder petrol unit which offers a modest 100bhp, meaning it will hit 62mph in 10.1 seconds. This may not sound very exciting at first, but let’s not forget this model is designed to keep the fun up, and the running costs down. 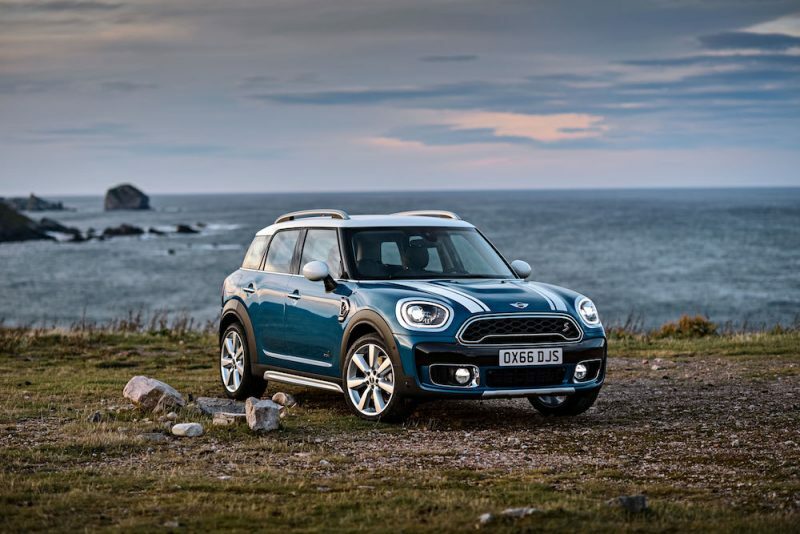 This power is fed through to a 6-speed manual gearbox and the car sits on sports suspension, so the fun from this car will be found in wringing its neck out and throwing around on a B road. 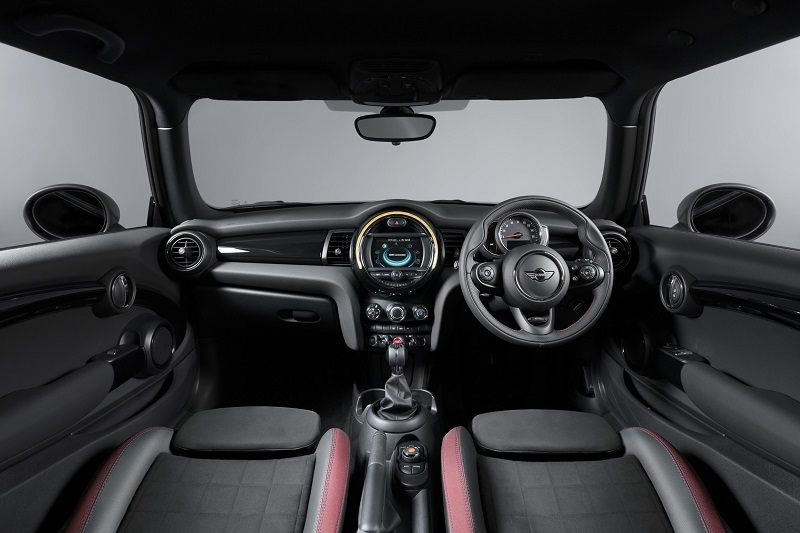 As well the retro touches and the JCW styling, the 1499 GT has black 17″ alloys, tinted windows, John Cooper Works Sports seats in Dinamica and leather, JCW steering wheel, piano black trim, Anthracite headlining and a Visual Boost radio with MINI Connected smartphone compatibility. Only 1499 will be made though – for the UK only – and will be produced between November this year and February next year. 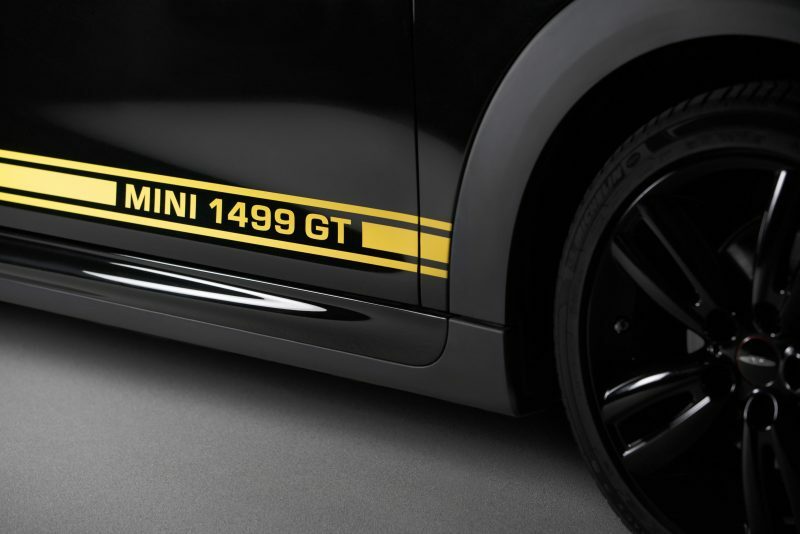 It’s available to order now with prices starting from £16,990, but the 1499 GT is also available with One year’s inclusive insurance with £299 deposit and £299 per month through MINI’s Ready Fuel Go finance offer. Next articleFord Edge Vignale First Drive: Worth The Money?